The heavy shell of the tortoise is a mixed blessing. It offers great protection from most predators but it takes a lot of effort to create and haul around. It also limits movement, so a tortoise on its back might have to work at righting itself. Contrary to popular myth, tortoises do not quickly die on their backs – but if they cannot right themselves, they will eventually die of ‘exposure’ – a combination of heat stroke, stress, pressure on the internal organs, dehydration, hunger, etc. Giant tortoises used as a food source on old sailing ships were just piled up on their backs, alive and often unfed, for months at a time. Each scute on the shell has a name. Those on bottom edge of the carapace (back shell) are the ‘marginals’. If there is a scute directly above the neck, it is the ‘nuchal’. The one over the tail is the ‘supracaudal’. There are usually five ‘centrals’ or ‘pleurals’ down the back and four pairs of ‘costals’ on the sides. On the plastron (bottom shell), the pairs of scutes, from front to back, are called the ‘gulars’, ‘humerals’, ‘pectorals’, ‘abdominals’, ‘femorals’ and ‘anals’. The carapace and plastron are joined by the ‘bridge’ or ‘inframarginals’. We can often identify a chelonian just by the color or arrangement of these scutes. Some tortoises have flexible ‘hinges’ between parts of the shell. Hinge-back Tortoises (Genus Kinyxs) can flex the back section of their carapace over their hindquarters, while other tortoises have a little flexibility in the rear part of the plastron to allow eggs to pass. usually covered with heavy scales that protect the front shell opening when the tortoises is pulled in. The hind legs are usually columnar, with flat soles and no visible toes. and laying eggs. Generally, male tails will be much longer than female. The tortoise head features a toothless jaw, and a pair of small holes, called ‘nares’ that the tortoise breathes and smells through. Tortoises breathe quite differently than humans since their ribcages cannot move. They force air in and out of the lungs by working their limbs which can look like shrugging their shoulders. They smell by pumping their throat to move air past their Jacobsen’s Organ – the scent organ most reptiles use. The internal structures of a tortoise are interesting- the familiar organs are there, but in unusual ways. Most of the top half of the shell is filled with the lungs. Chelonian lungs are built like sponges, so that punctures are not as serious as they are for many other animals, and their respiratory system is driven by a need for oxygen rather than getting rid of carbon dioxide like other animals. This gives them a great ability to hold their breath. The ratio of lung size to body weight lets some species of tortoise float and swim, while others sink – although many ‘sinkers’ can walk underwater for a short distance. Much of the rest of the shell is filled with the stomach and intestines. Tortoises have digestive systems similar to other plant eaters, but that work even slower to extract as many nutrients as possible from poor foods, If they do get better quality food however, they can actually send that food through a faster process. Many tortoises routinely eat their droppings, probably to extract more nutrients or to get the healthy microbes in it. 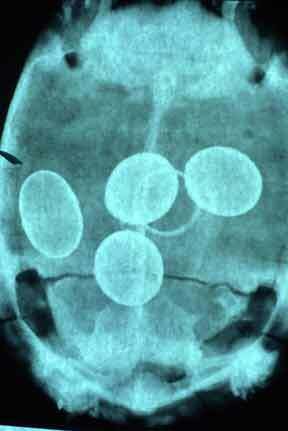 The tortoise urinary system usually stores water internally and concentrates their uric acids to make urates. It will expel the accumulated materials periodically. Depending on species and hydration levels, this can be anything from clear water to an almost toothpaste-like substance (often a little of both.) If the white urates are dry and gritty, the tortoise may be dehydrated. Some tortoises live in such arid locations and water is so scarce that they carry some in their bladders for a long time, and making one of these tortoises void their precious water can threaten their lives! They can recharge their bladders by taking in water by mouth, making ‘metabolic water’ from some foods, and by soaking- which recharges the bladder and can be absorbed into their systems. They have a decent sense of taste and smell- some species even leave and use scent trails. Red-foots are believed to use these trails to help relocate shelters and possibly food sources- helpful in a place with few visual landmarks. Tortoises do not seem to see as far or in as much detail as humans. All seem to see reds and yellows, and many can apparently see green and other colors- even ultra-violet. Their eyes are positioned so they can see in stereo straight ahead, and have decent peripheral vision as well. Tortoises have a reasonably high intelligence, often equated to a white rat, and can obviously learn and remember things.